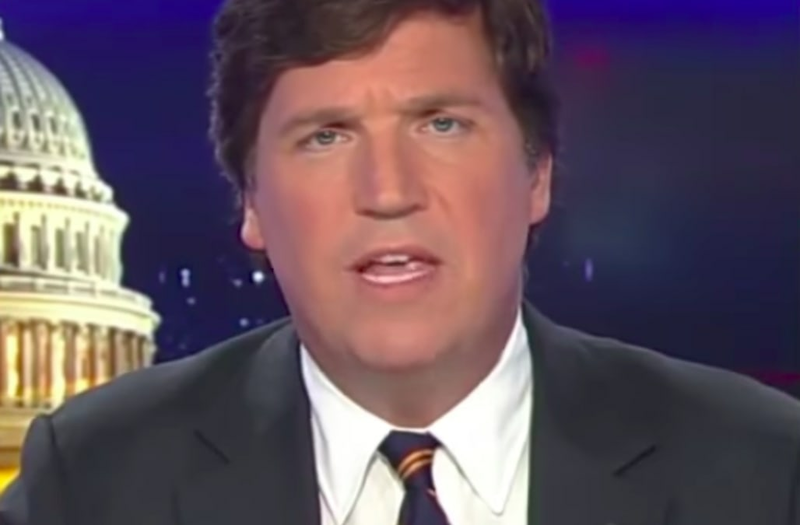 Fox News host Tucker Carlson was so bafled by Calexit leader Shanker Singham on Tuesday night that by the end of the interview, he questioned, "Is this a parody segment?" A ballot referendum to make California an independent country could come up for a vote next year if it reaches enough signatures. Carlson said that America "might be losing a star from its flag for the first time ever" before explaining why Calexit leaders feel it could actually happen. Carlson called the move "amusing" and a "joke," while noting he is from California. "This would mean breaking up the United States of America," he said. Singham, the vice president of the California Freedom Coalition, wondered why the rest of America would even care if the Golden State became its own country, saying that many think of Californians as "snowflakes" and "hippies." The two battled for much of the segment, with Carlson asking how the new country would handle borders, immigration and Federal land in California. Carlson called out Singham for acting like he was already leading a separate nation. "This is California, Tucker, we're not the United States... we're fundamentally different," Singham said. "Dude, I don't know if this is like, I have never met you," Carlson said. "I've never heard of you. If this is a parody segment — you're punking me. Or you are really high, and telling the truth, because high people do. Bottom line, are you being serious?"